Beautiful Resort, always maintaining upkeep.Soo many things to do from fishing to golf to swimming either ocean or pool your choice,free trolly to ocean and OOB. 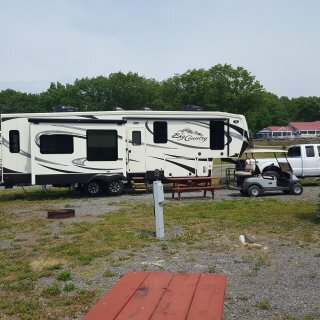 Adult pool is the best only 4 yrs young since built.If you foollow the rules you will have a grand time Entertainment surpasses any other camping resort.If you want to see the spacious 300 acres rent a golf cart. We camped at Bayley's Camping Resort in a Fifth Wheel. Rent a golf cart. pay attention to activity flyer,you might miss something. Do not bring your own golf cart,,can not use. OOB OLD ORCHARD BEACH is a trolley ride away and the trolley is free. Stayed during a rainy time of bad weather. So many trees that you feel as if you are in a cave at the campground. Hard to maneuver any rig bigger than 28 feet long. Hook-ups worked but needed maintenance. Not a lot to do, Sturbridge Village near by that is it. You have the Nipmuk woods , it might interest some. However the owner is very friendly and extremely helpful, It is a family run campground. Many areas office ,store , are on the "Honor" system, however when in need the best way to reach someone is from the cell phone number they give you. The office registration area is often empty not anyone there to help you. There are many seasonal campers, but they are very friendly and helpful. During tornado warnings the owners said to go to their basement , did not have to help us but did. Quaint old fashion style campground. 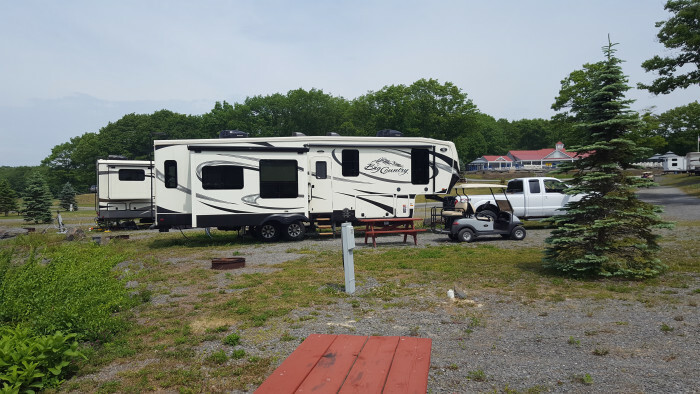 We camped at Beaver Pines Campground in a Fifth Wheel. Sturbridge Village is closest attraction about 16 miles away. The closest civilaization is Souuthbridge Ma. It says it is in North woodstock, but in reality it is not. North woodstock is about 15 miles away from the campground.